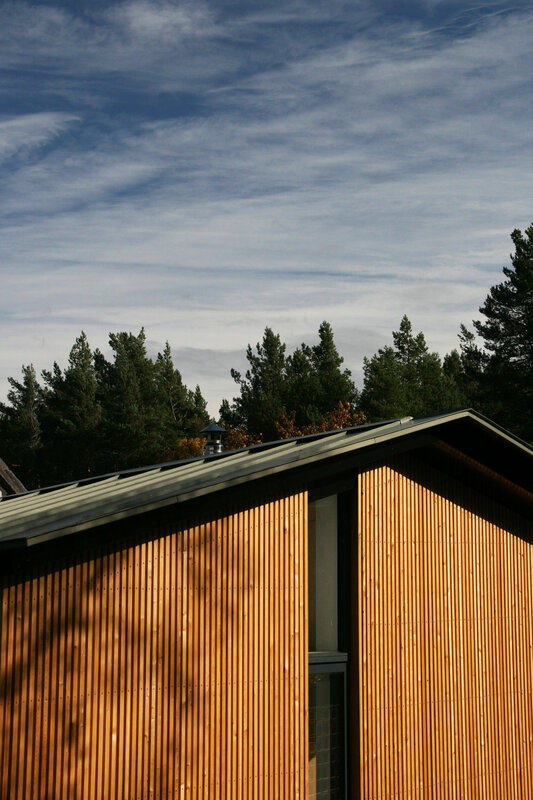 October saw the completion of WT Architecture’s first commission in the Cairngorms National Park. Located in the ‘Forest Village’ of Nethy Bridge, the project brief was to revitalise a neglected Victorian cottage by creating new and reorganised spaces that enjoy a closer connection with the surrounding woodland. A substantial extension containing kitchen, living and dining areas, with an origami-like zinc roof that is pitched and folded in multiple directions, wraps itself around the corner of the existing cottage cable. This project was also the first time we have had the opportunity to collaborate with local contractors, Colin Lawson Builders, who were a joy to work throughout with and have delivered a stunning product. We hope to have some sparkly professional photographs taken of the finished building early in the New Year, so look out for these soon.